Hit the road with your pet! It’s fun traveling with dogs – you’ll be glad for the company. Just like people, pets enjoy seeing and experiencing new places, people, and other animals. Build memories of a lifetime when you kick back with your best friend at a campground or vacation destination this year. For the most successful trip, be sure to plan ahead. 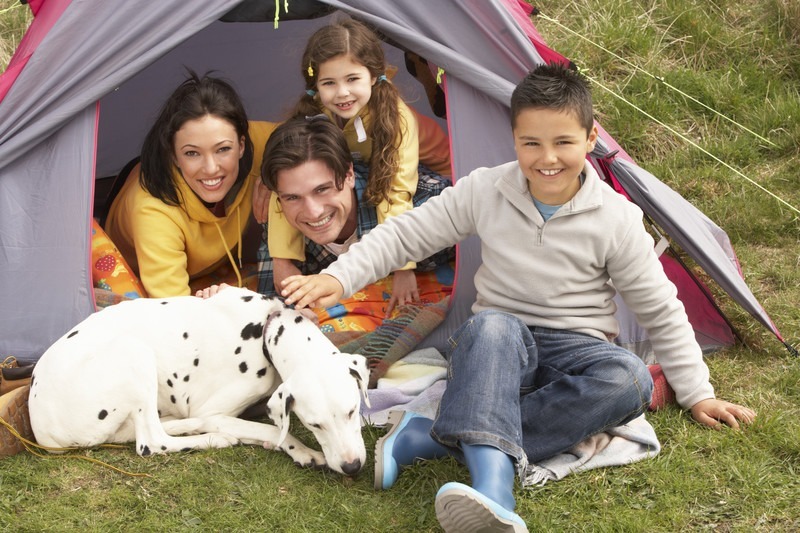 Prepare your dog and pack their essential travel items and you’ll feel well prepared to have fun together. 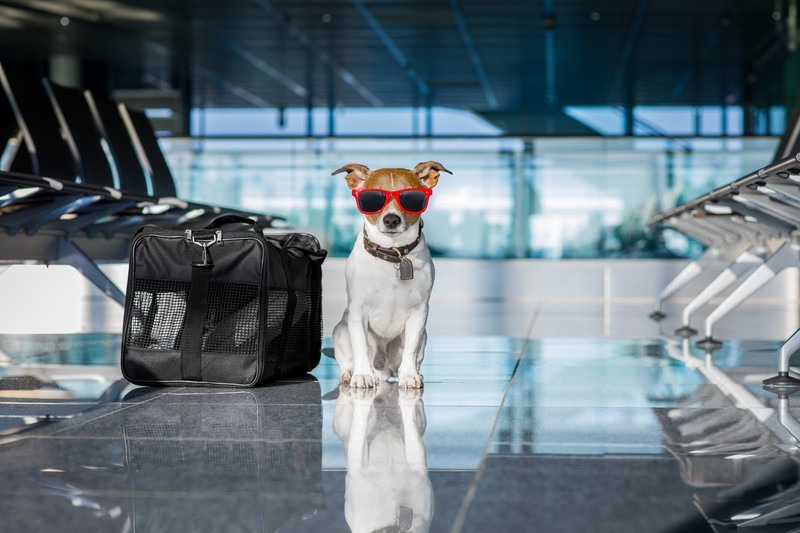 Read on for tips about traveling with dogs. 1. Bring your dog along for the ride! Think about the kind of trip you’ll be taking together. Will you be camping, staying with a friend or family, or renting a dog-friendly Airbnb or hotel room? Will you travel by car, bus, train, or airplane? You may wish to do a short trial run in the car to see if your pet is a happy traveler. How much dog gear will you be able to take with you? All of these questions should be taken into consideration for a successful trip. 2. Be prepared! Traveling with dogs requires preparation ahead of time. Organize your thoughts about the trip and think about how you can make it memorable for you and your pet. Include activities that are fun for both of you to do together. Natural areas like dog-friendly parks, beaches, and trails are a good bet. Cities and towns frequently offer activities and accommodations geared toward dogs. Leave time in your schedule for rest too. Traveling with dogs requires preparation ahead of time. Include activities that are fun to do together. 3. Reserve in advance! Check with your accommodations for any restrictions. Many hotels are now pet-friendly. Make accommodations for pets when traveling by public transportation too. Get familiar with airline, train, and bus company rules, so there are no surprises. 4. Get packing! Bring the basics like their collar and lead, health essentials like their medicines, and other items that may be critical to their comfort. If there’s space in their doggie bag, bring a few of their favorite, familiar things. See the handy checklist below for some ideas to get started. 5. Treat them to something special! Bring along a few special treats that you know they’ll love. Pet Factory natural beefhide chews are delicious fun and come in many shapes and sizes for every dog. If you’re a guest in someone’s house, you’ll be glad you remembered to bring beefhide chews and chew toys to occupy your pet. You can feel good about Pet Factory products because our beefhide chews are 100% natural, 99% digestible and 100% delicious! Not only that, but your dog will love the flavorful protein options, including beef, chicken, and pork. Try fun, NEW Twistedz – Real Chicken Meat or Real Beef Meat wound around a qualityAmerican Beefhide core. 6. Kick back! Include fun activities you know they’ll enjoy. Is your dog a runner? Get out for a run on a riverside path. Do they enjoy pampering? Visit a spa for dogs and their pet parents and have a spa day together. Are they swimmers? In addition to outdoor swimming in lakes and rivers, new options are popping up for indoor swimming for dogs. If you’re headed to the beach or pool, be sure to keep an eye on your pup. 7. Traveling with dogs can be a blast! If you decide to take them along for the fun, give them a break from activities that are not enjoyable to them. You may want to board them at a kennel for part of the time. If so, research the best kennels in advance. Reserve a spot for your special pet, so you know they’ll be safe and happy. Many kennels offer extra walks, natural treats, and special attention, so be sure to ask. Bring your dog along for the ride and include fun activities you know they’ll enjoy. Plan ahead when traveling with dogs so you can enjoy a worry-free adventure. If you’re going on a trip together, pack carefully and include your dog’s favorite things. Make sure their bag is easy to access in the car. If you’re traveling by plane, train or bus, include essential items in your carry-on bag. Use the checklist below to get started. Plan ahead when traveling so you can enjoy a worry-free adventure together. Traveling with dogs can be a fun and positive bonding experience. Be prepared in advance and take advantage of all the wonderful adventures of vacation travel. The more homework you do ahead of time, the fewer surprises there will be. Plan ahead and pack carefully and you’ll both enjoy a fun and memorable trip together.